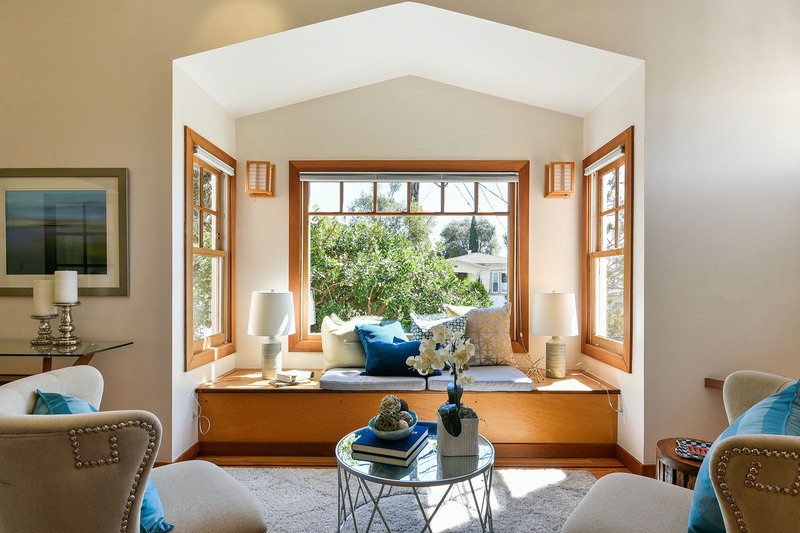 Modern flair and an open floor plan add flexibility to this home’s use and design. 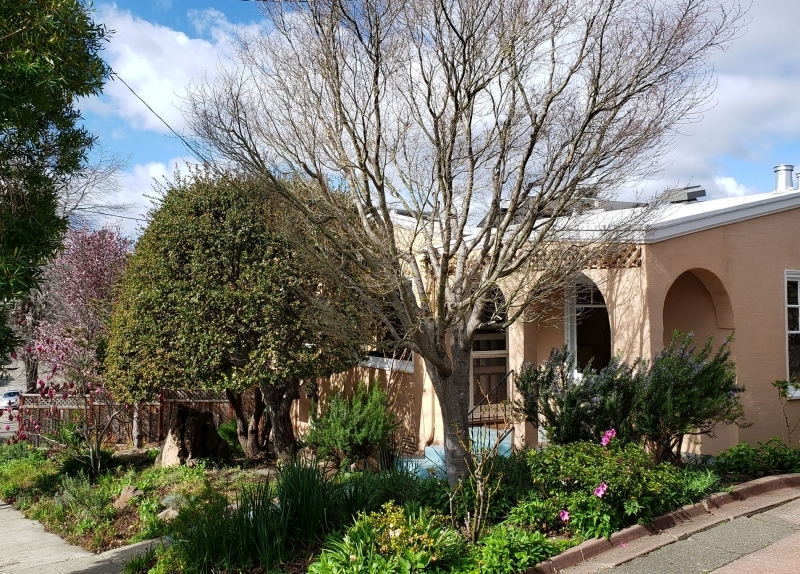 In addition to the 3 bedrooms and 2 baths, this home has a lofted family room and two additional rooms for hobbies or home offices, one on the main level and one with a separate entrance, Private, beautiful garden spaces bring peace and tranquility. 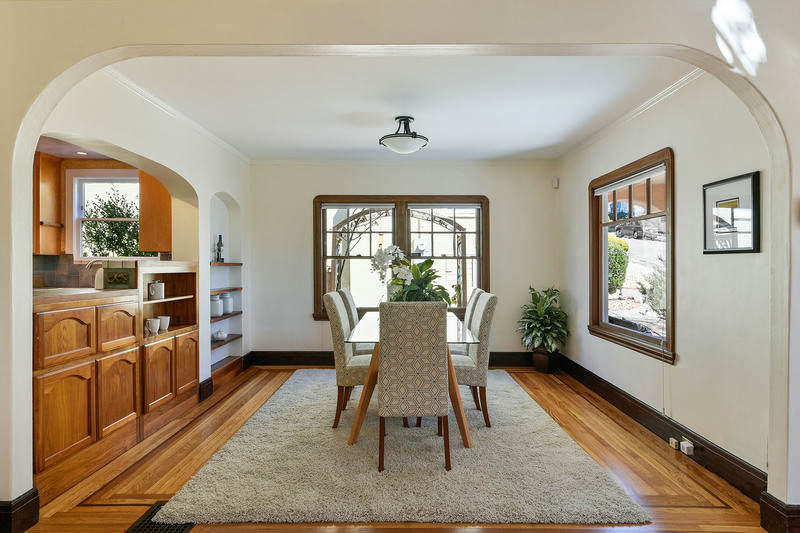 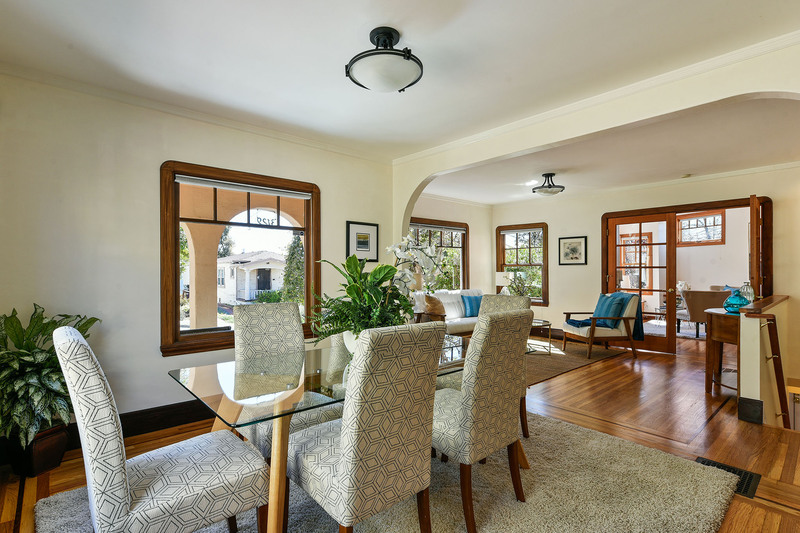 Come and enjoy this classic home with modern updates and appreciate the details! 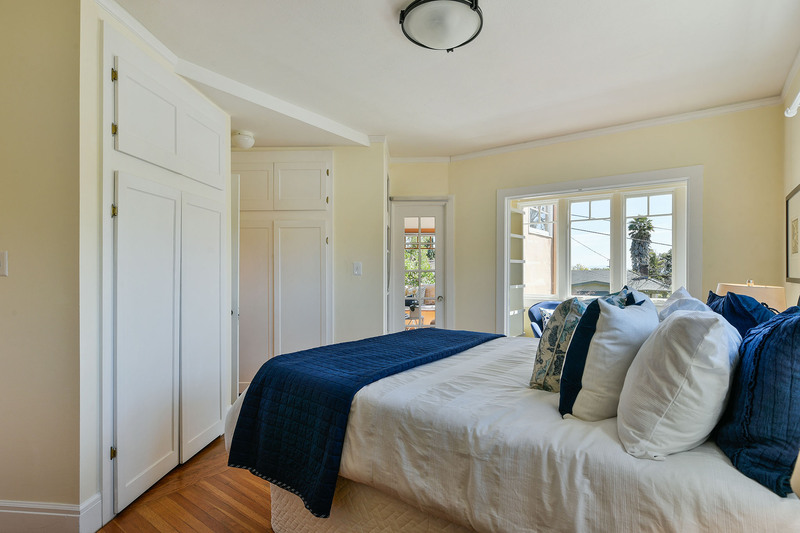 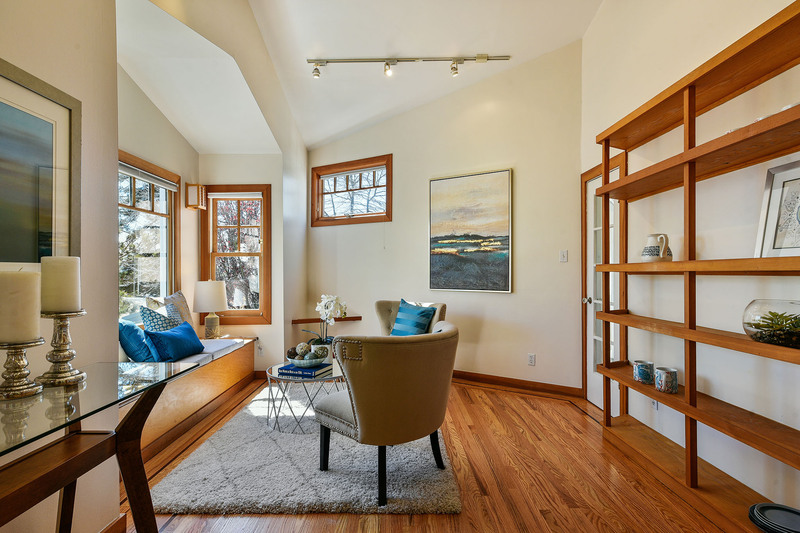 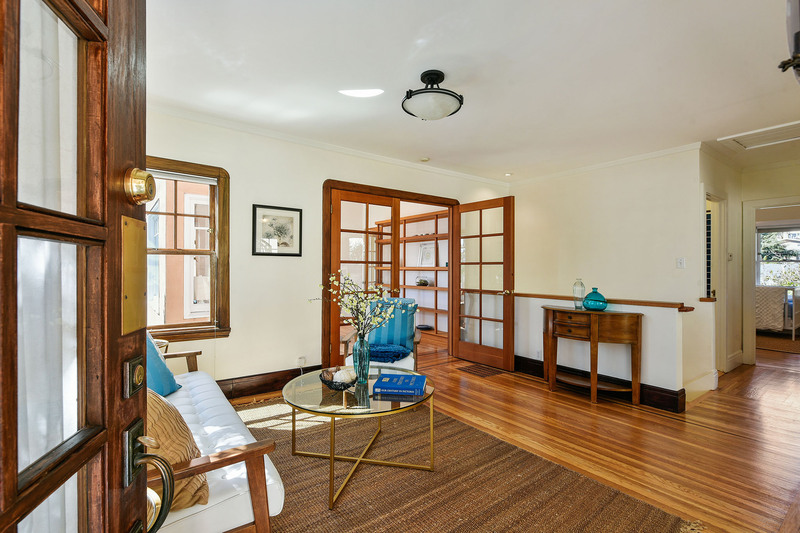 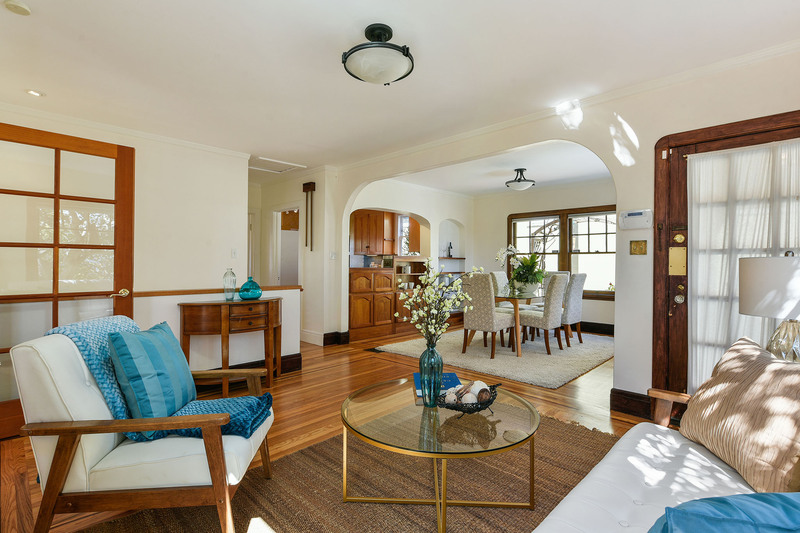 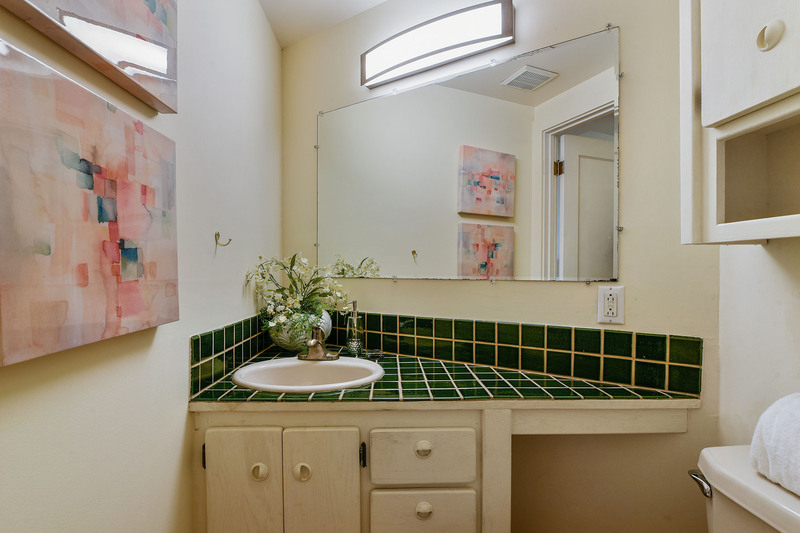 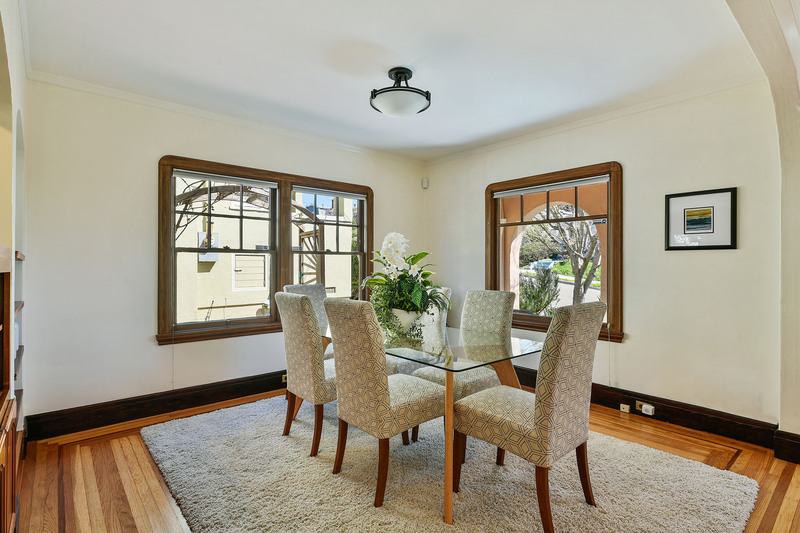 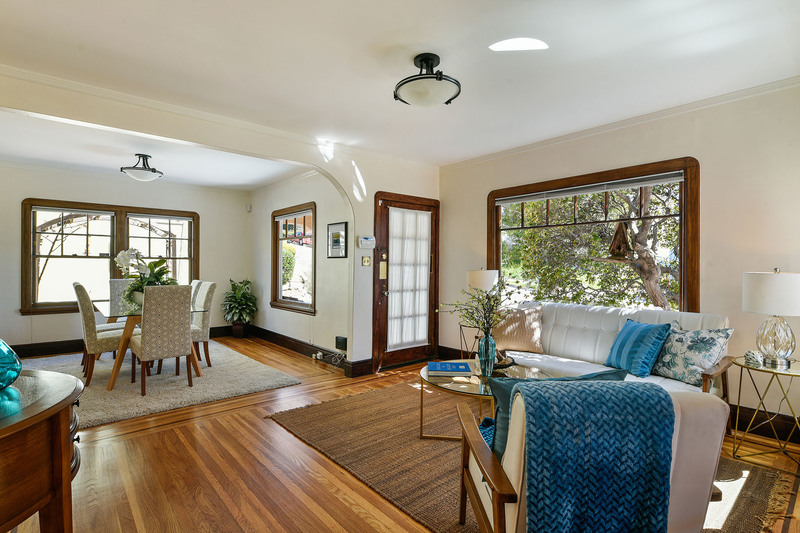 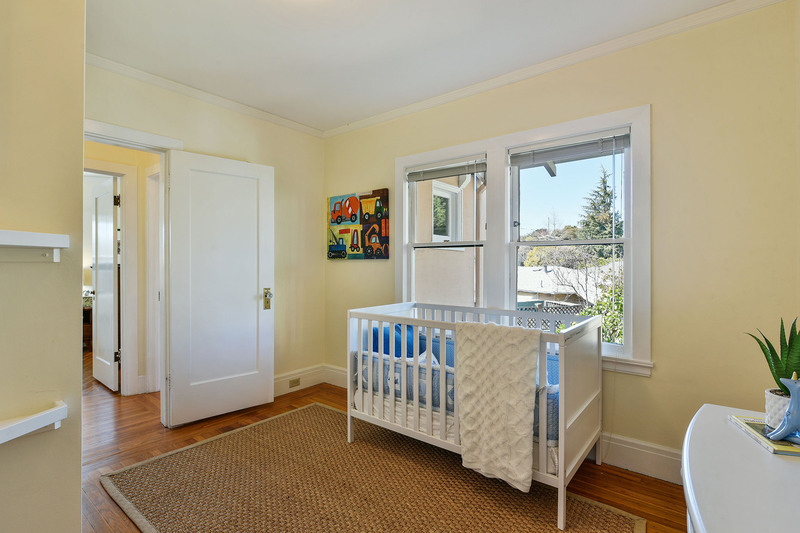 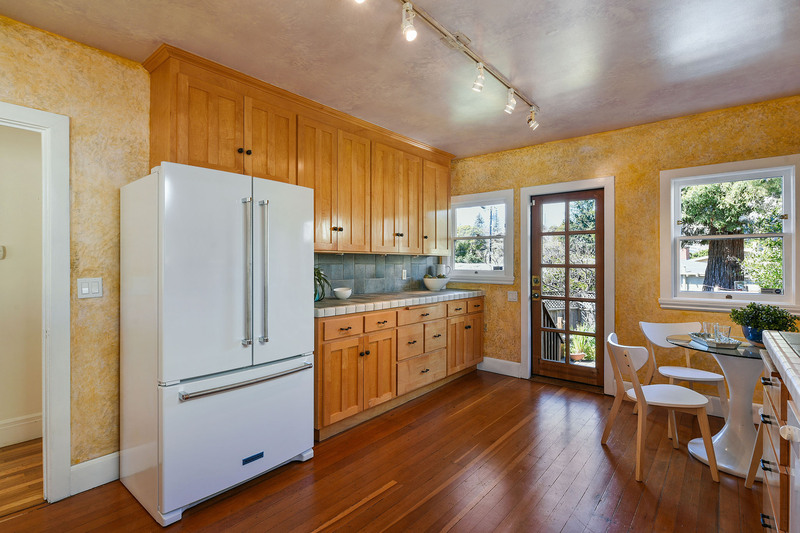 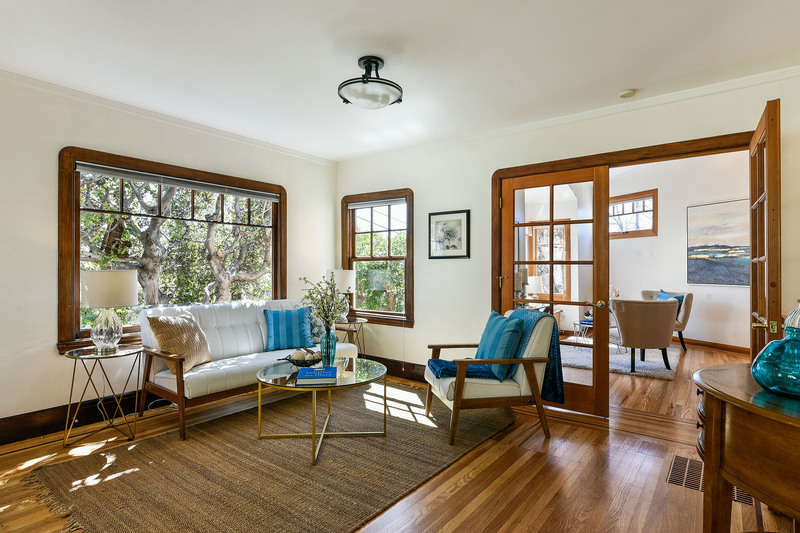 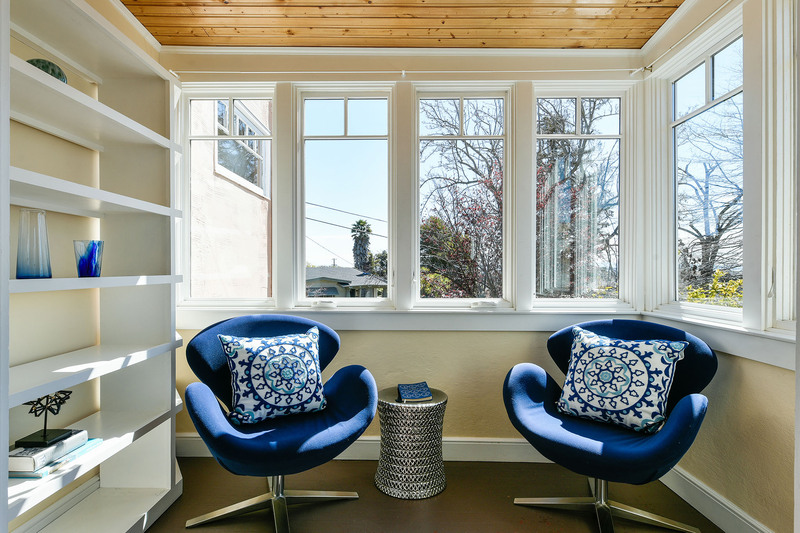 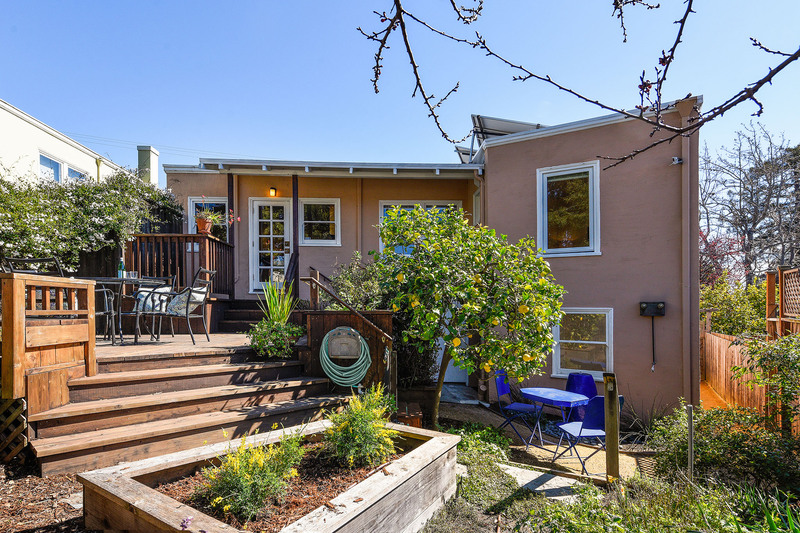 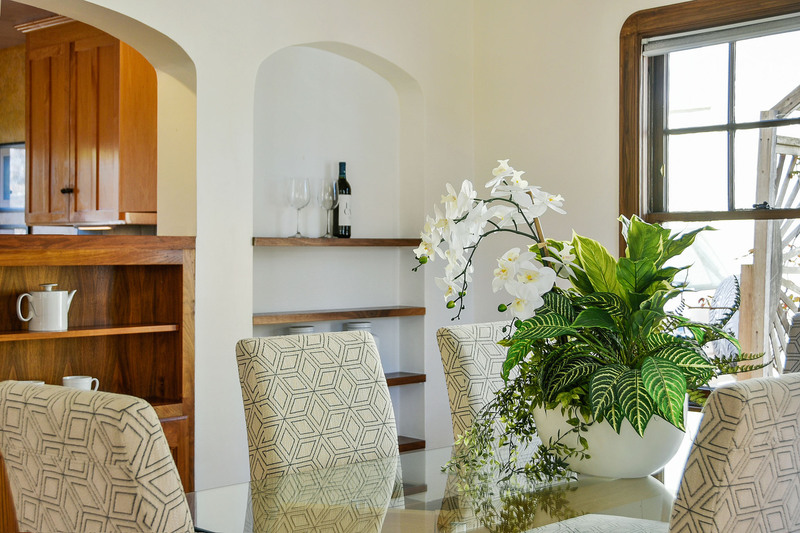 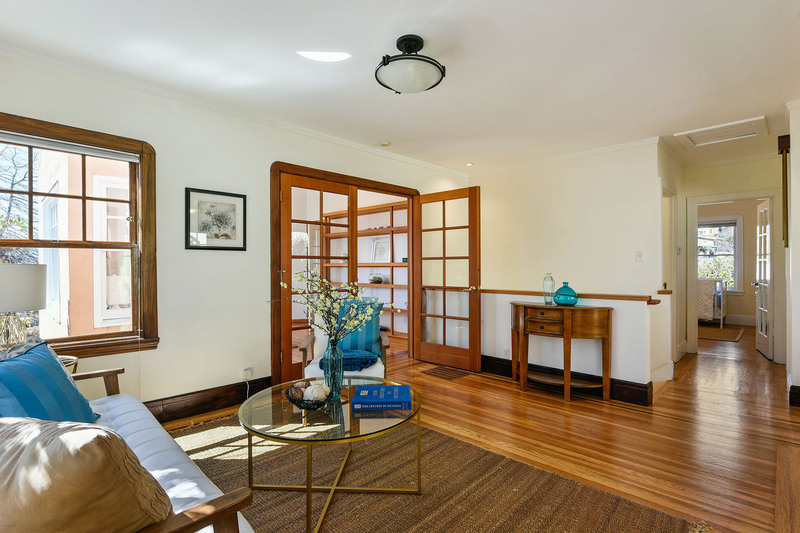 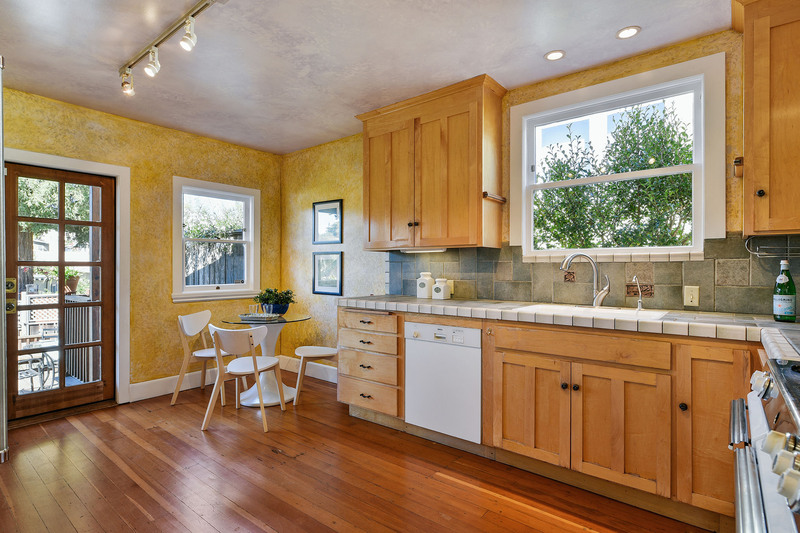 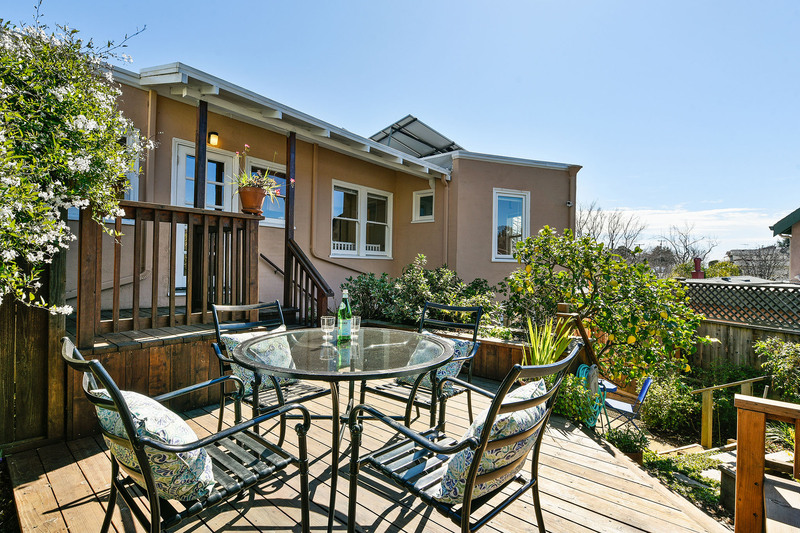 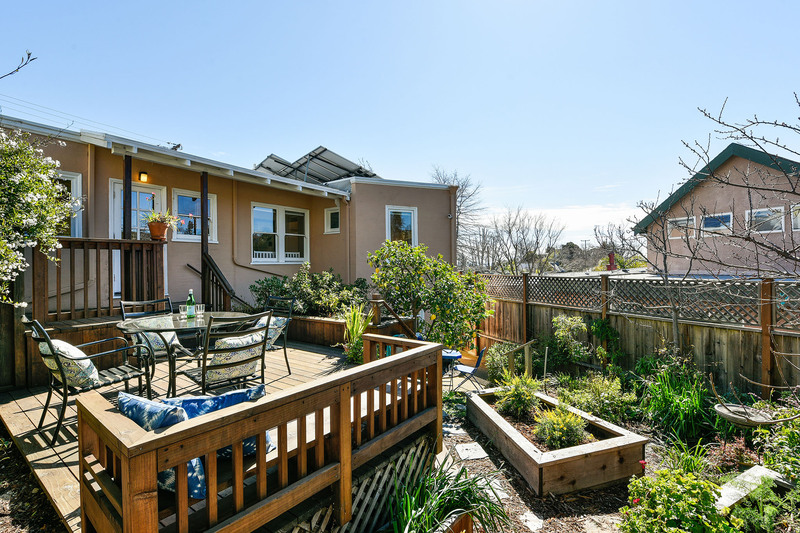 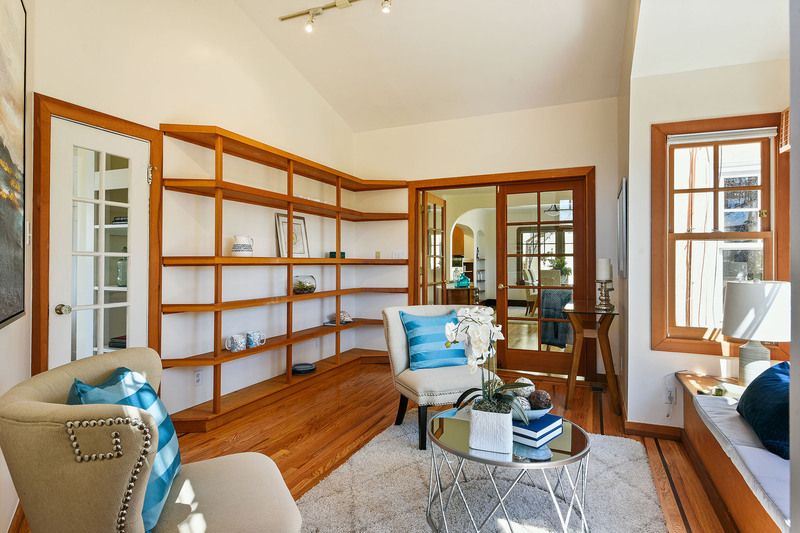 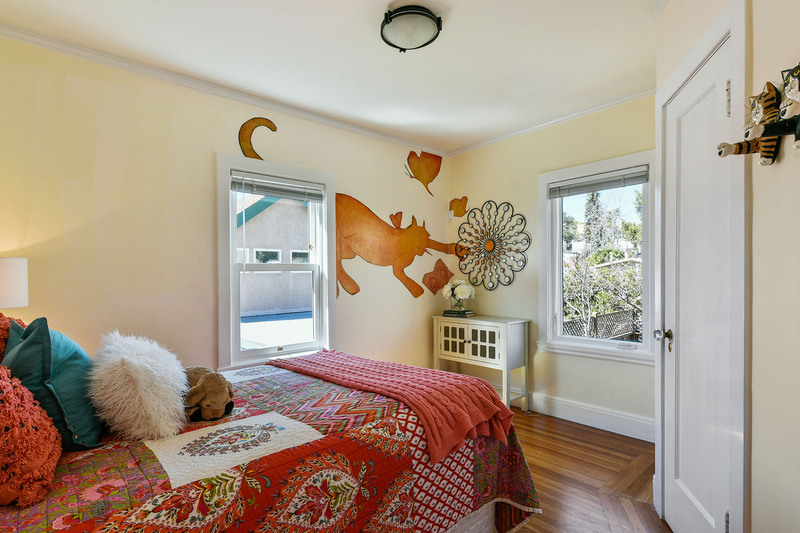 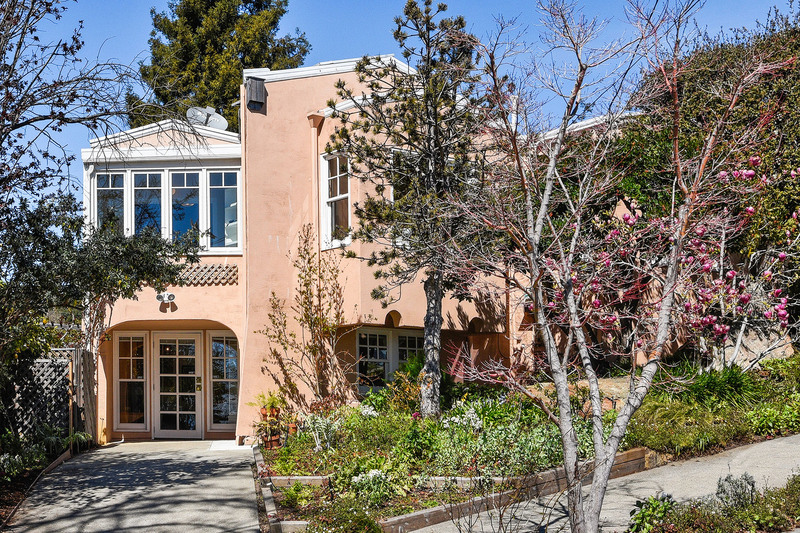 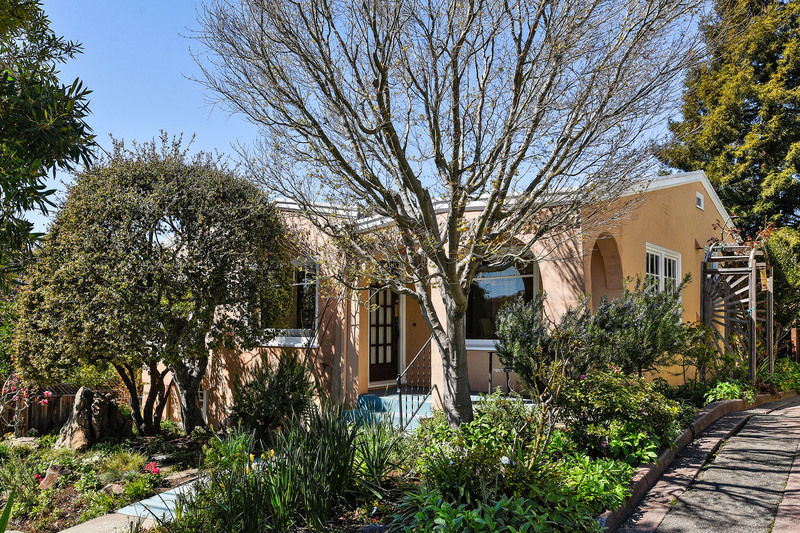 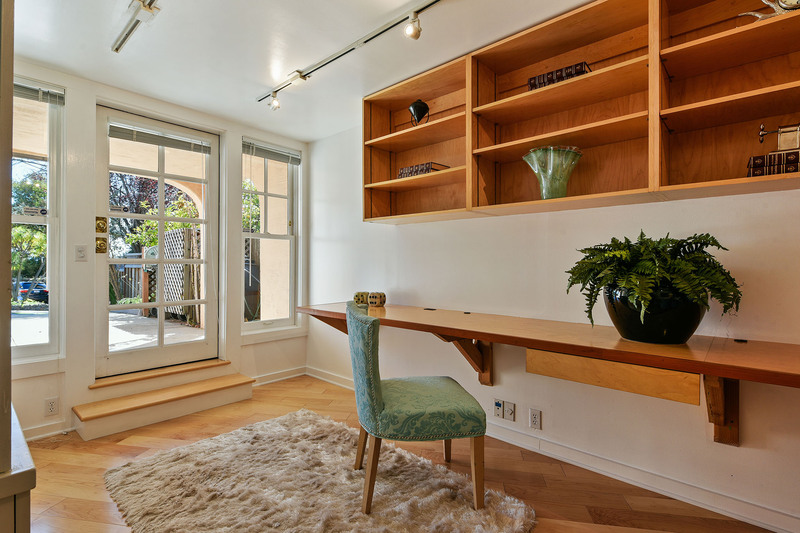 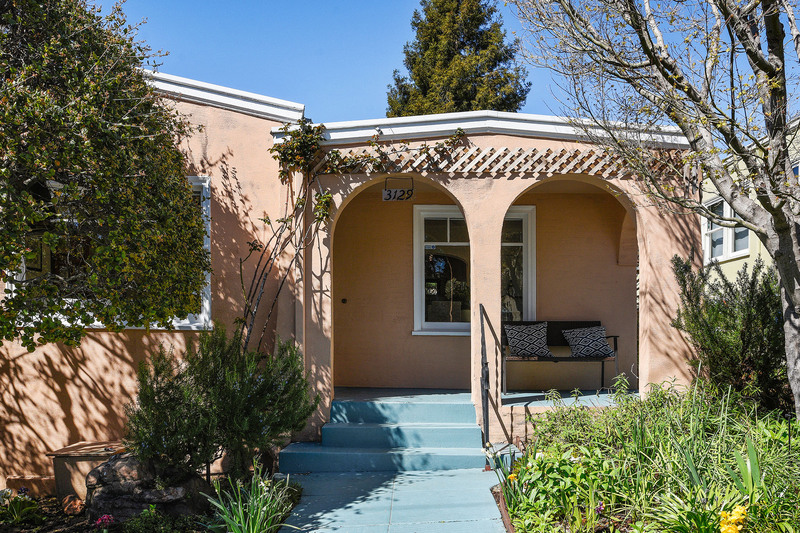 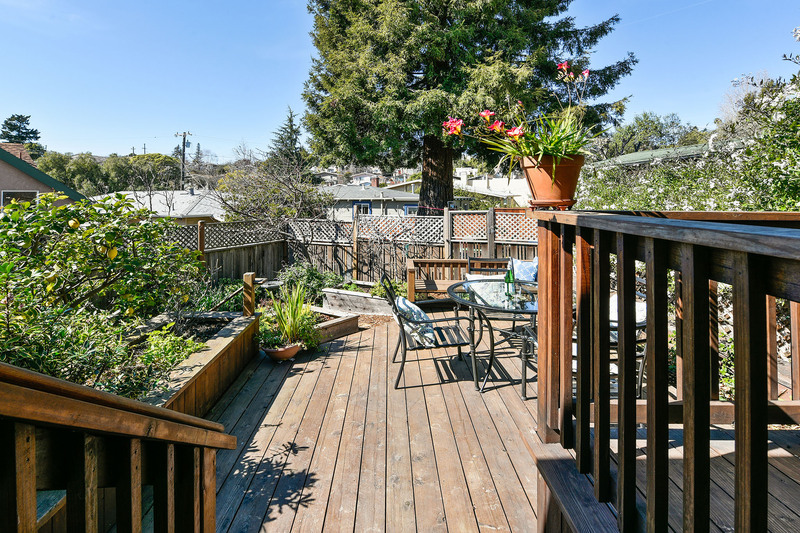 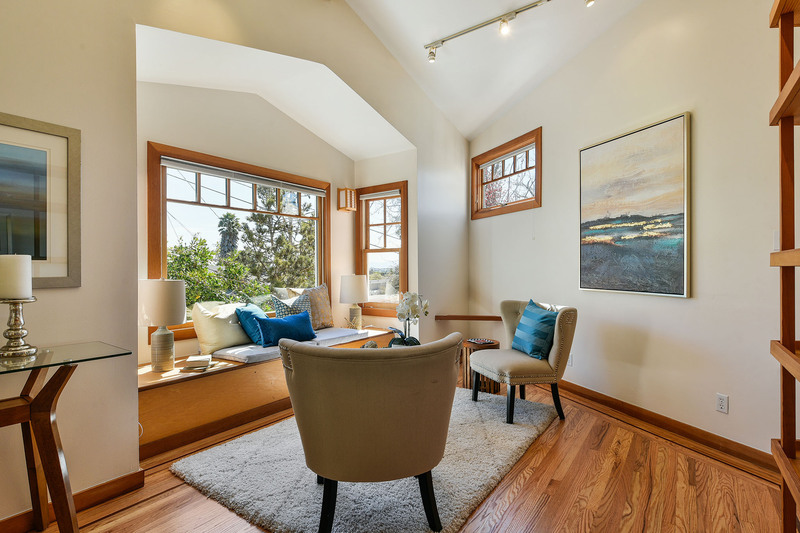 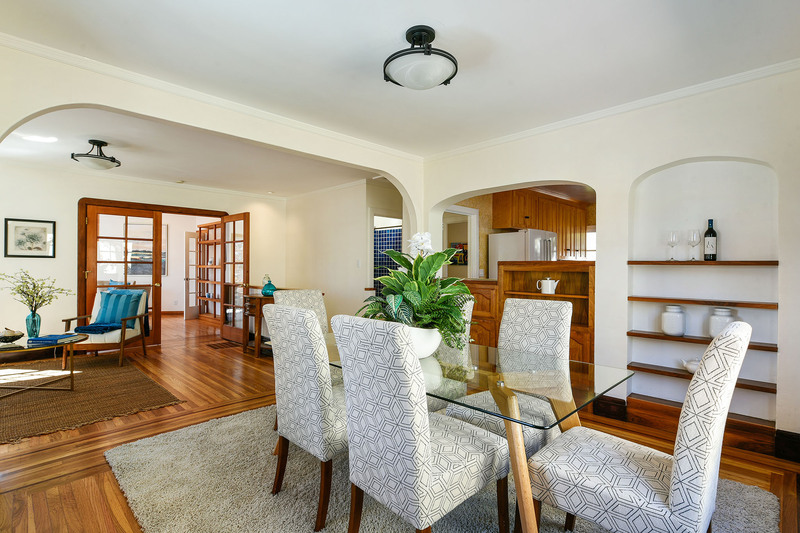 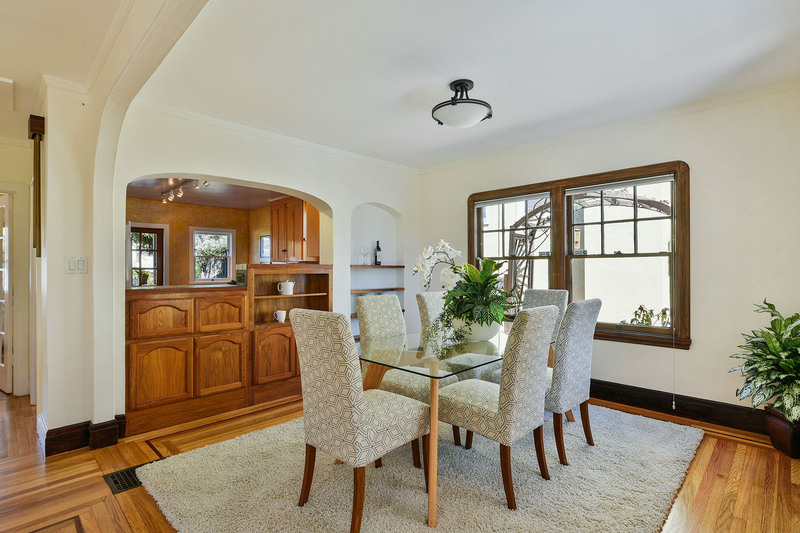 Easy access to Mills College, Oakland neighborhoods and the rest of the Bay Area. 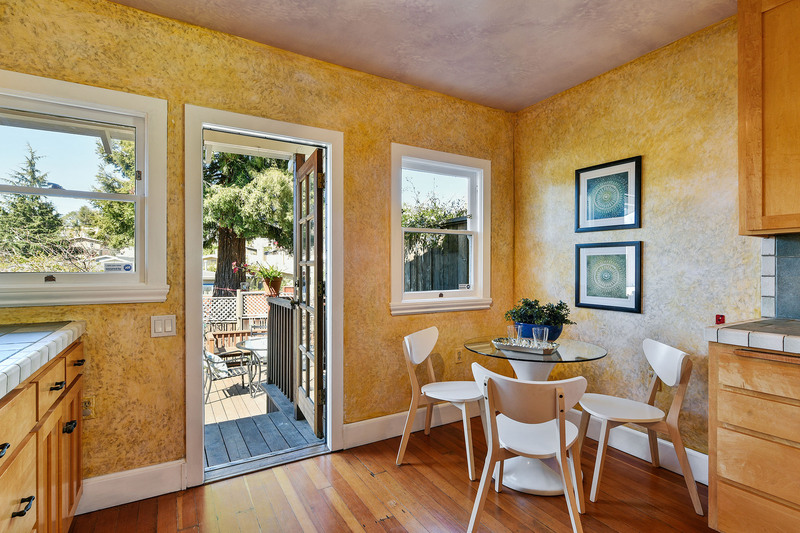 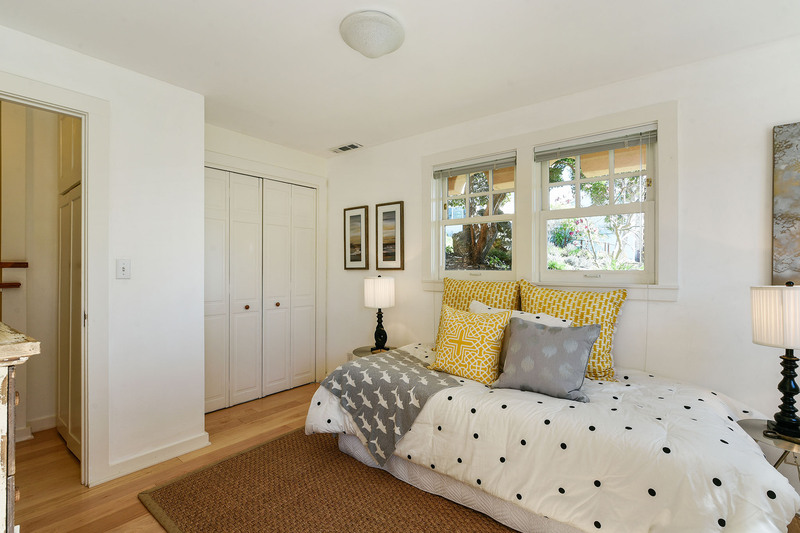 Updated with permitted solar, seismic retrofit and drainage work, it is enhanced by the lofted family room, added as a yoga studio by renowned yoga teacher Rodney Yee. 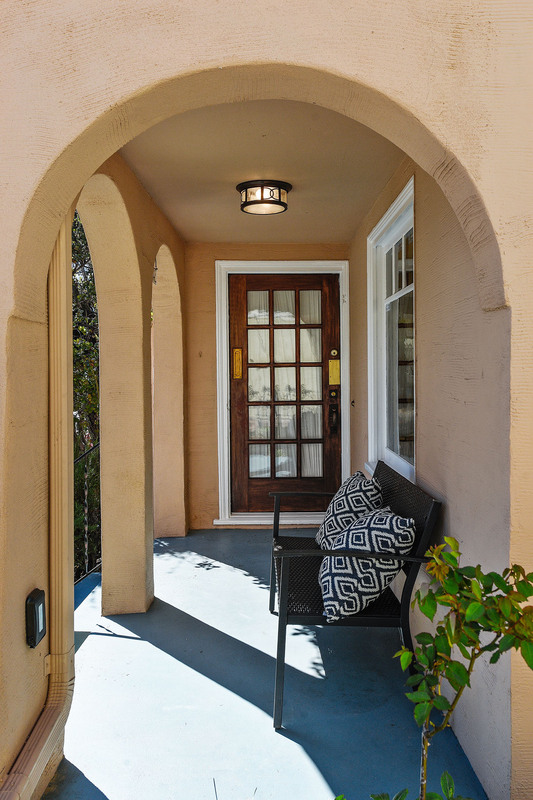 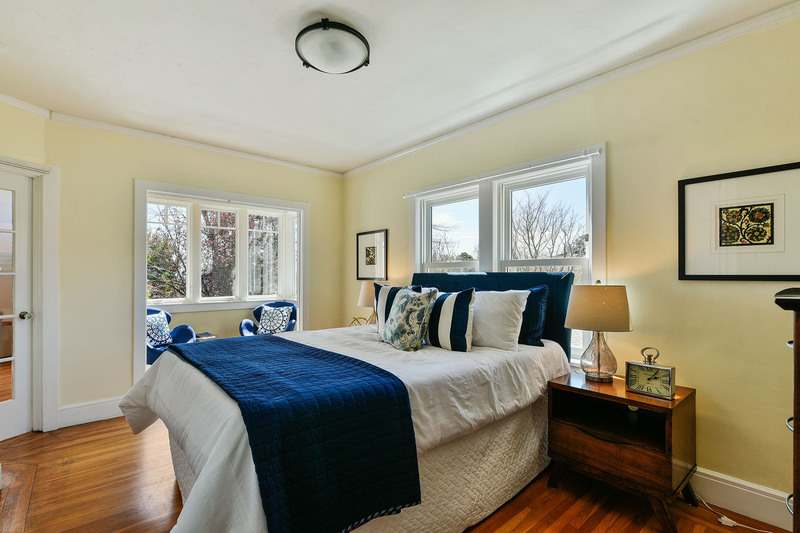 The classic charm and architectural details have been maintained. 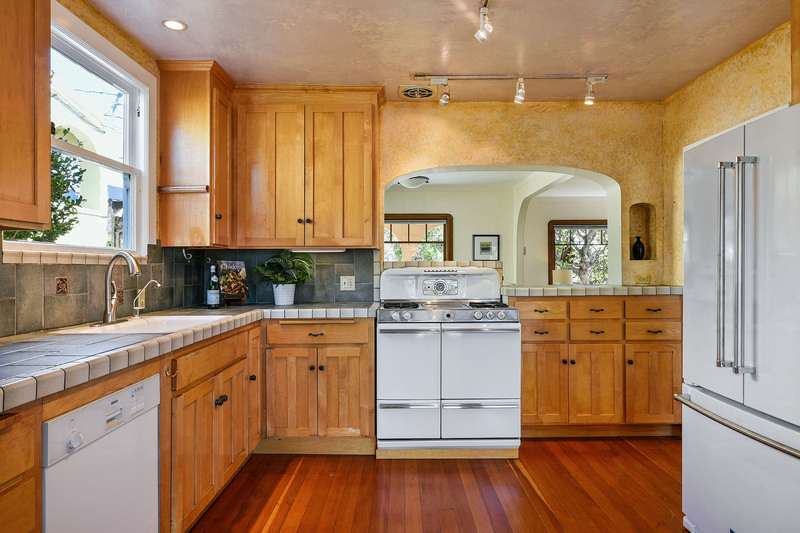 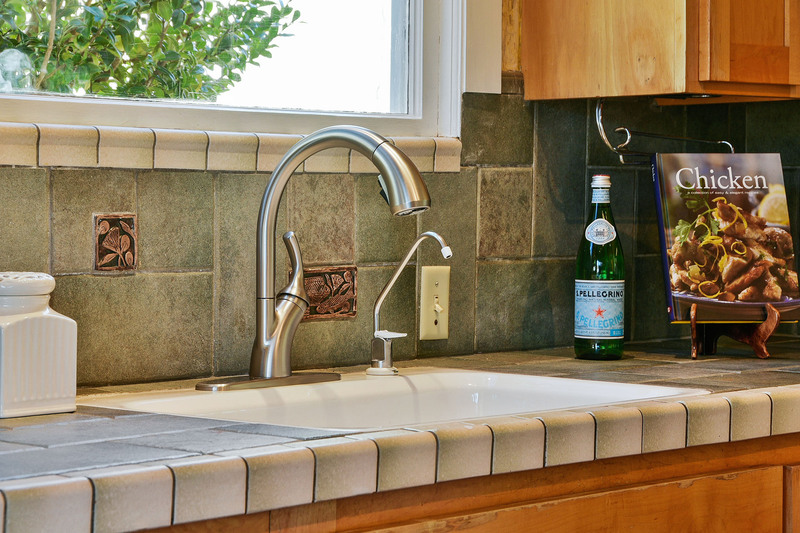 Kitchen updates include lovely maple cabinets and a wide, white farm sink. 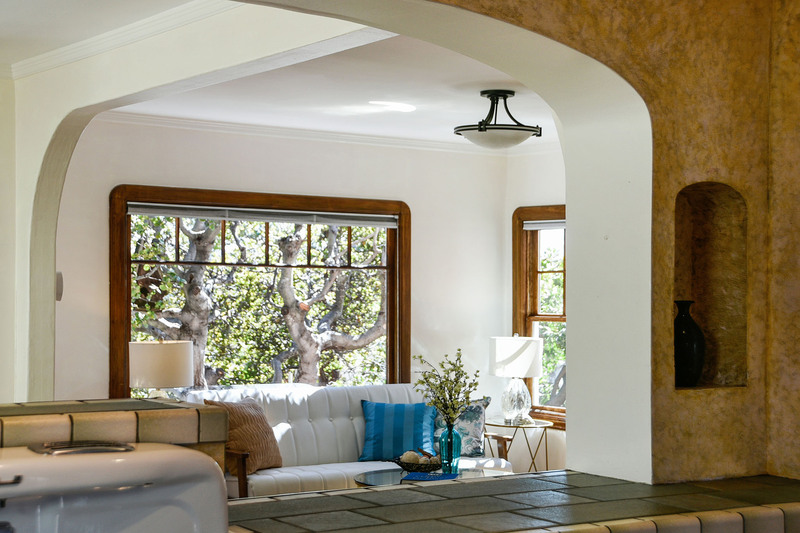 Brightened by track lights, the Wedgewood stove recalls the home’s history. 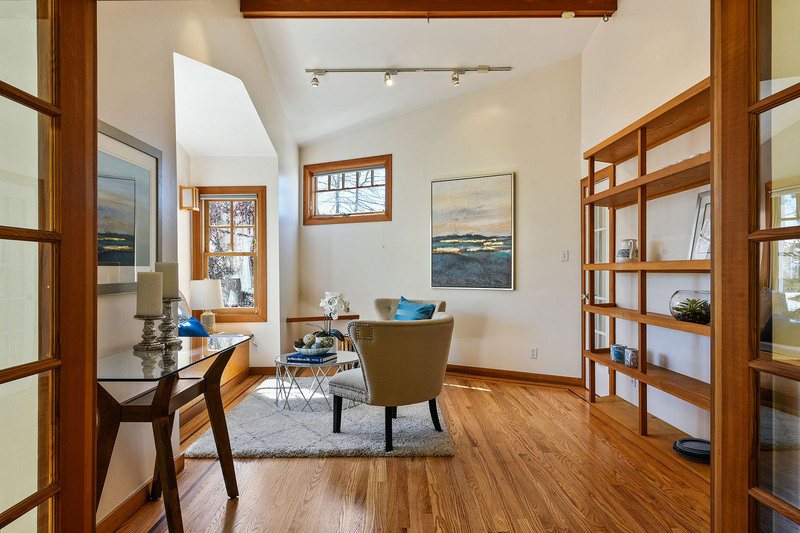 The lower level has newer wood flooring throughout and offers both a built-out office and a bedroom that looks out to the front garden and beyond to the Bay! 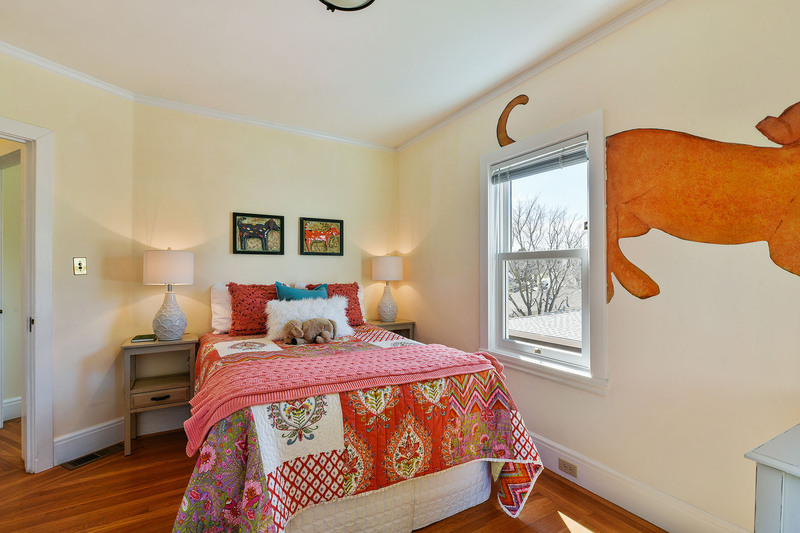 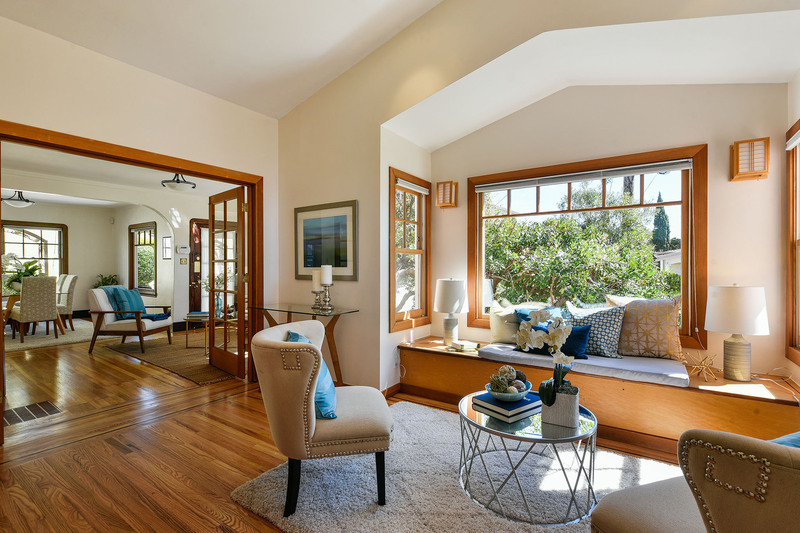 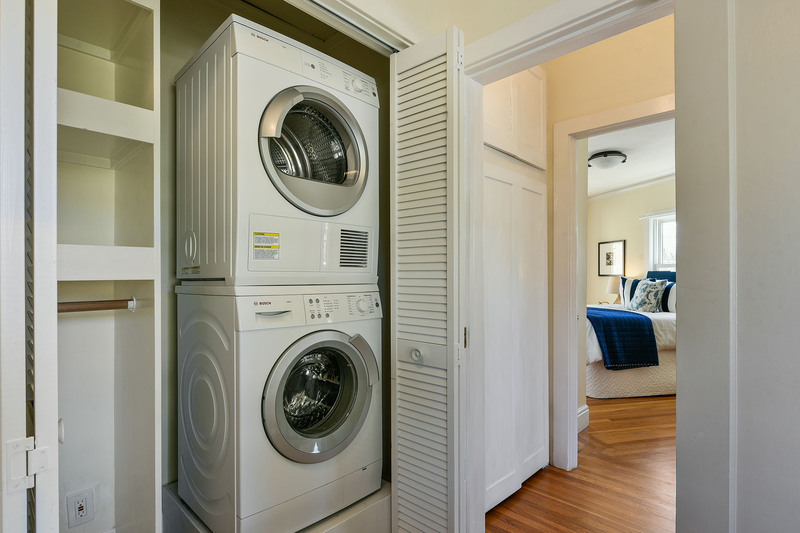 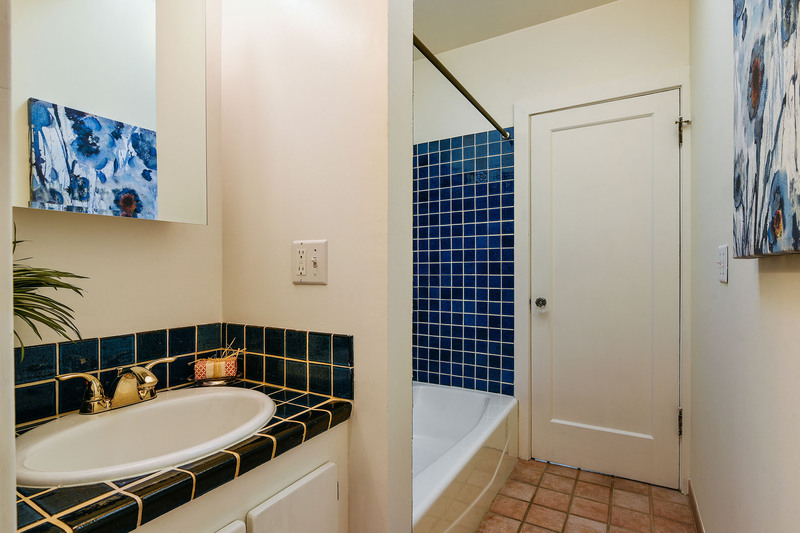 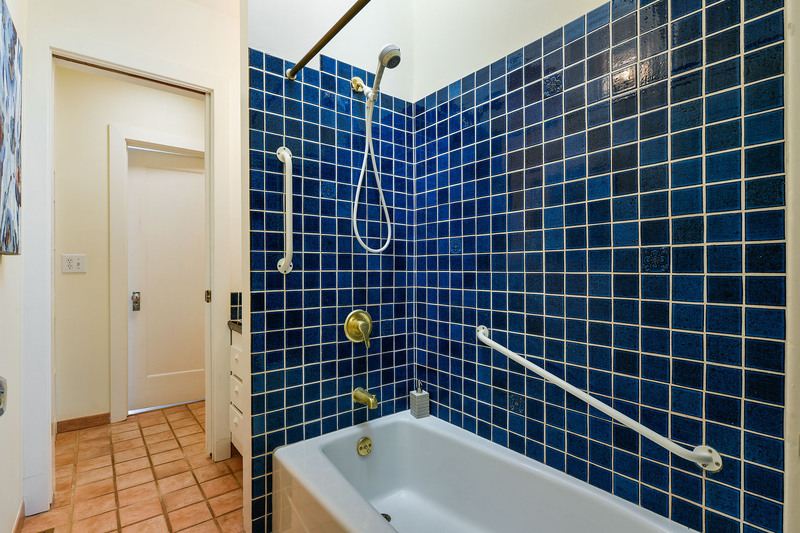 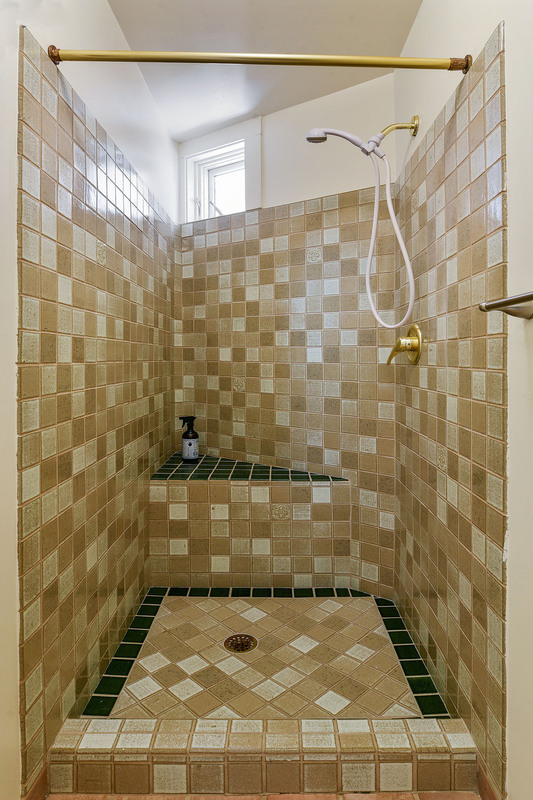 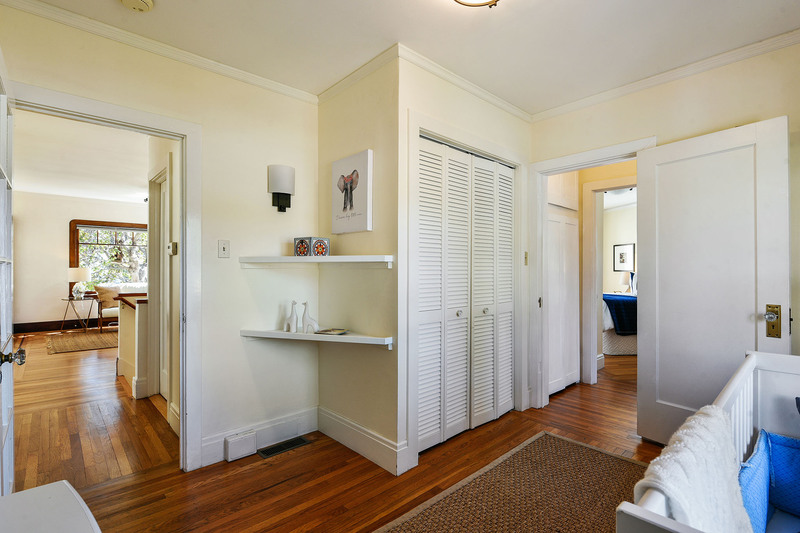 Each has a separate entrance while a split bath along the hallway leads to the garden. 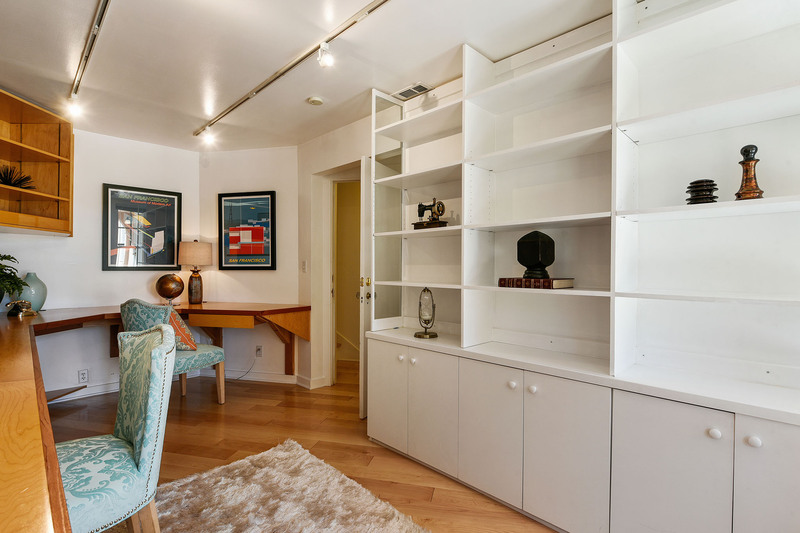 Storage space in unfinished spaces on this level add to the convenience of living in this wonderful home close to Mills College. 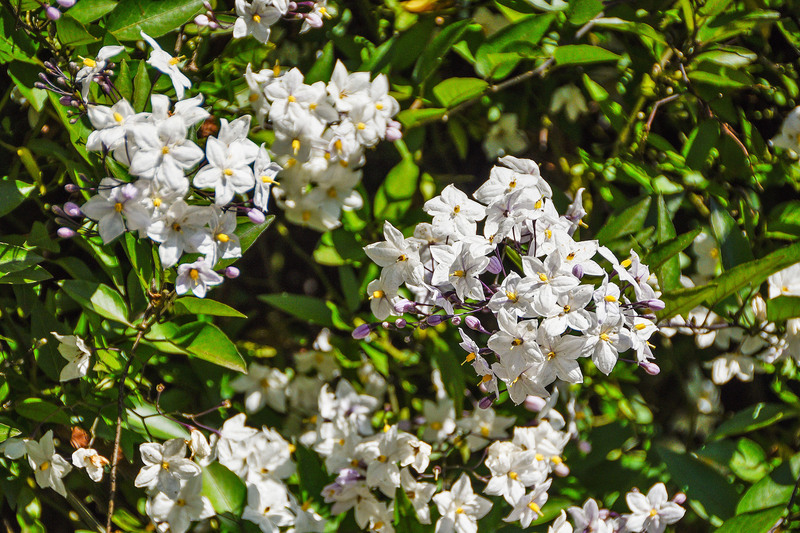 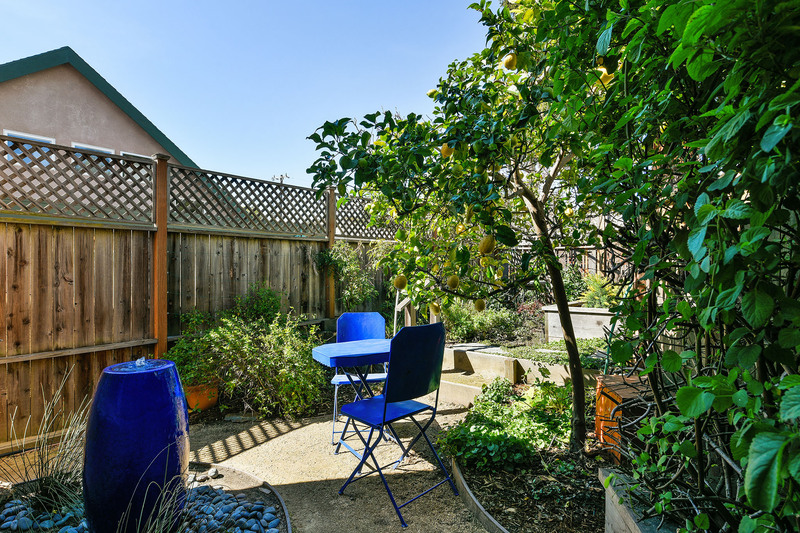 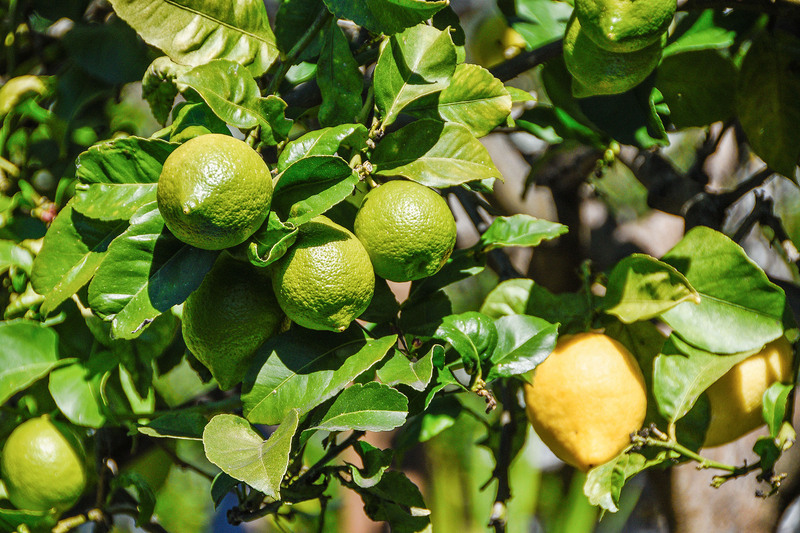 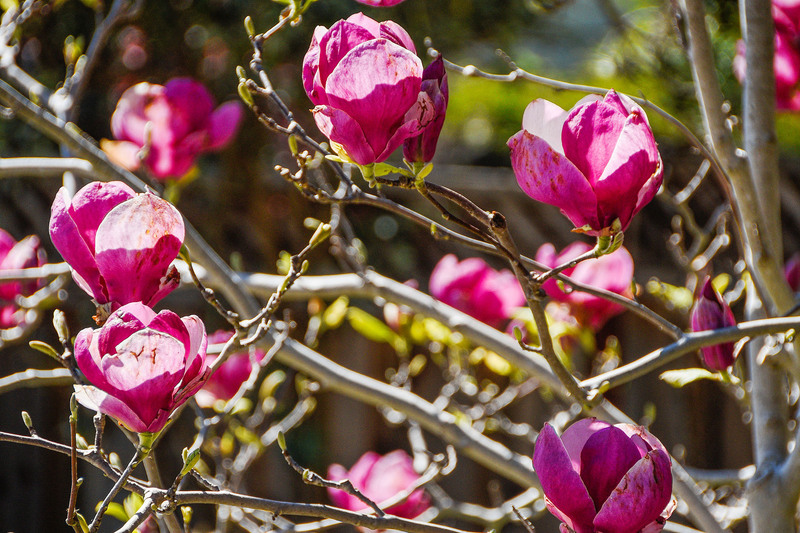 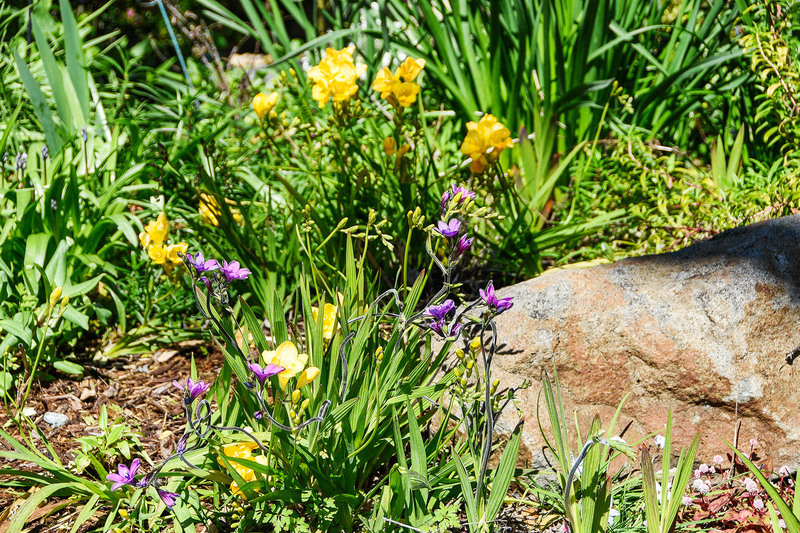 The back garden offers multiple ways to enjoy the outdoors: a deck right off the kitchen, garden beds with a variety of blooms throughout the year, vegetable beds and an abundant lemon tree. 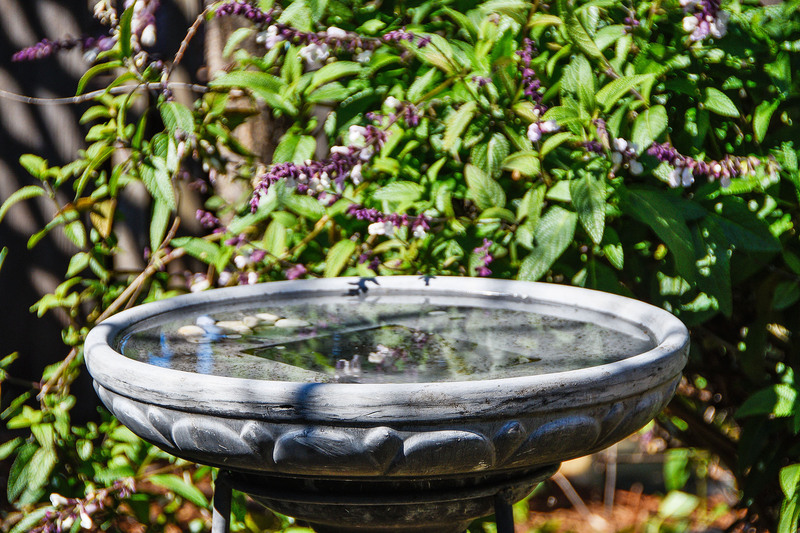 Just steps down, mature plants create a separate place to sit and enjoy the garden fountain. 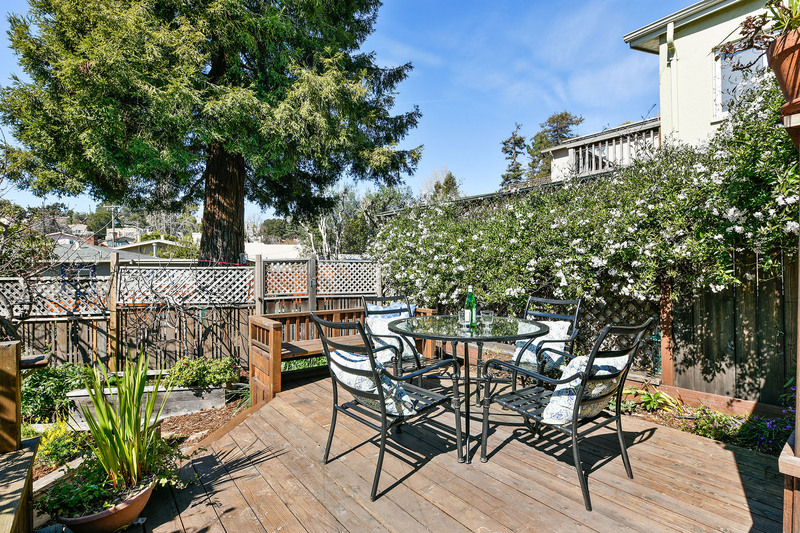 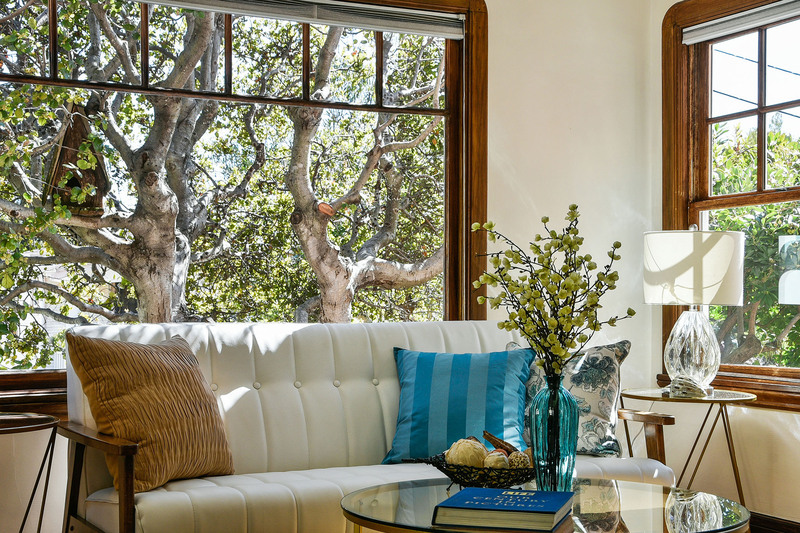 A neighbor’s redwood tree creates a restful backdrop. 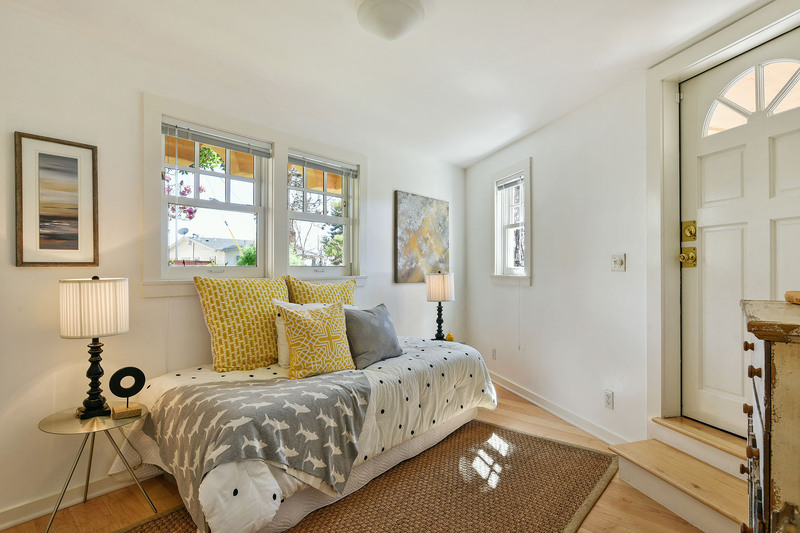 Front windows upstairs and down enjoy views of the bay, a tapestry of flowers, the flowering magnolia and a lovely maple. 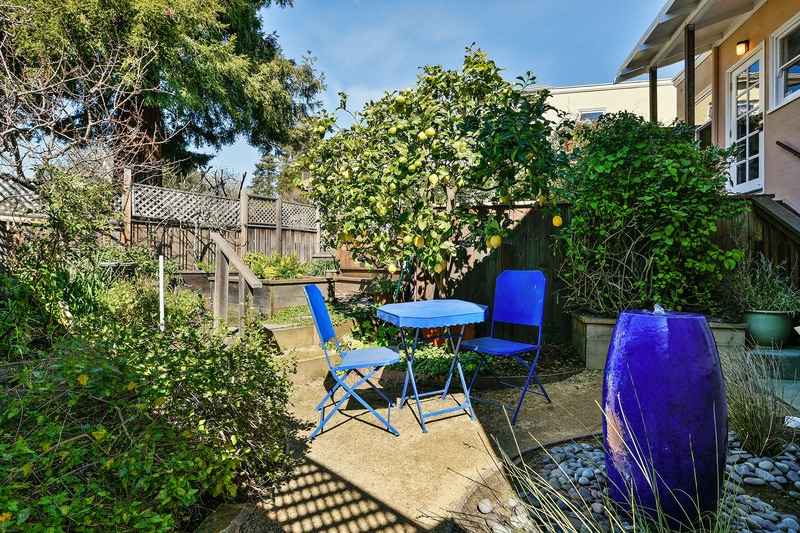 Enjoy the community and the ease of connections to the rest of the Bay Area.